The cinematic partnership of Paul Feig and Melissa McCarthy is one that has brought me feelings of immense enjoyment over the years. Both Bridesmaids and The Heat are, in my opinion, two of the funniest female-centric comedies of the last half a decade, and it is under Feig’s writing and direction that I feel McCarthy is best utilised in comparison to some of her poorer, arguably more exploitative performances in films like Tammy. 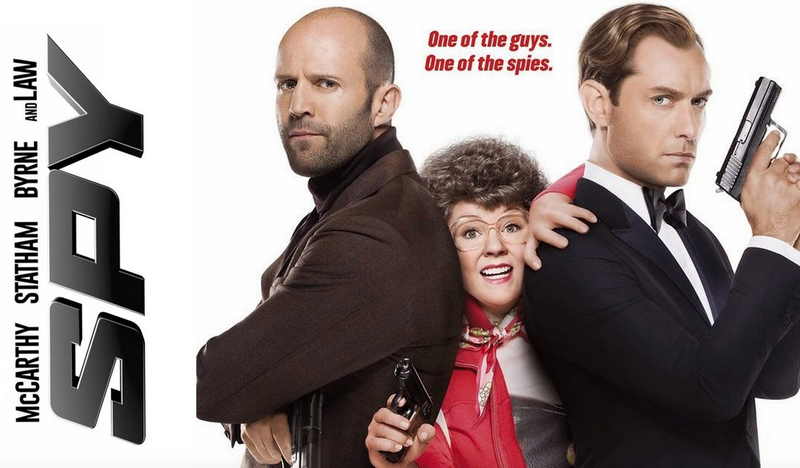 From what I had heard about Spy, it seemed as though easy (and tiresome) fat jokes were going to avoided in favour of giving McCarthy a genuine shot as a credible lead, and having seen what she can do in projects like St. Vincent and even as far back Gilmore Girls, I was excited to see what the CIA spoof comedy would achieve. Spy is a pretty straight forward comical take on the outlandish goings on of the CIA. Determined to seek revenge on a Bulgarian villainess (Rose Byrne) for supposedly murdering one of her colleagues (Jude Law), unexperienced agent Susan Cooper (McCarthy) heads to Europe, undercover, to uncover the names and faces behind a cliched plot that involves nuclear weapons and exchanging diamonds. Of course, it’s a plot we have seen a million times before in more serious, straight faced spy films, but in the case of Spy, the set up is really only necessary in order to allow for the introduction and interaction of the numerous comic characters included in the narrative. The film is shares a similar vibe to early 2000s favourite Miss Congeniality, but falls just short of matching its easy charm. In terms of living up to its comic potential there is certainly a lot to laugh at, but there are also a lot of gags that miss the target. The majority of the film’s most enjoyable moments are provided by encounters between any combination of Melissa McCarthy, Rose Byrne and Miranda Hart, whilst Jason Statham’s attempt at a dumb, arrogant, foul mouthed British agent repeatedly comes across as tedious and abrasive rather than funny and eccentric. In terms of paying reverence to its genre, Spy chooses a much more muted approach with regards to its gadgetry and plot twist intrigue, but to be fair, anybody going to see the film with expectations of James Bond level story and stratagem is in the wrong place to begin with. That being said, the picture’s handful of large action set pieces are all executed to a high and enjoyable degree, with car chases and shoot outs to add a touch of high octane in to what essentially is a comic character piece disguised as a spy movie. Ultimately, Spy follows in much the same vein as some of Feig’s better works, similar in tone and feel to The Heat, which if you are fan like I am, will be enough to satisfy. As is always the case with Paul Feig features, the cast is the truly definitive factor as to who the film is received. In this instance, Melissa McCarthy delivers a perfect performance as Susan Cooper, cleverly given half of the film to portray a softer, more humanistic side and then evolving into the more brash, outlandish caricature that audiences have come to love so very much. What is particularly great about the film is that through Agent Cooper, McCarthy gets to actively oppose and make fun of the single woman, cat lady type personas that she has been hampered with before, instead playing a still funny but much more rounded and normal character. The fact that McCarthy may not be quite so believable as a fully fledged CIA agent matters not a jot in terms of narrative enjoyment, and in truth she is the linchpin that holds the hectic nature of the film together. Giving an equally hilarious performance alongside McCarthy is Rose Byrne as key antagonist Rayna Boyanov. Considering the last film I experienced Byrne in was the more than underwhelming remake of Annie, it was nice to see her spread her comedy wings, and though there is nothing subtle about her character, or the film in general to be honest, it is still highly enjoyable to watch somebody do something that they are really good at. British star Miranda Hart does a fine job in her first major picture as CIA operative Nancy. Hart transfers much of her sitcom persona in to the character, but again, this is what she is great at, so if it ain’t broke, why fix it? Jude Law gives a satisfactory and brief performance as agent Bradley Fine, and rest of the cast all give solid if not slightly forgettable performances that in truth are underplayed to accommodate the comedic eccentricity of the bigger players. In truth, the only element of the film that I feel negative about is both the casting and character of Jason Statham’s agent Rick Ford. I am not a fan of Statham, and though he admittedly plays a character who is intended to be crass and unlikable, the type of ‘laddish’, misogynistic humour that encompasses Rock Ford falls completely flat for me. 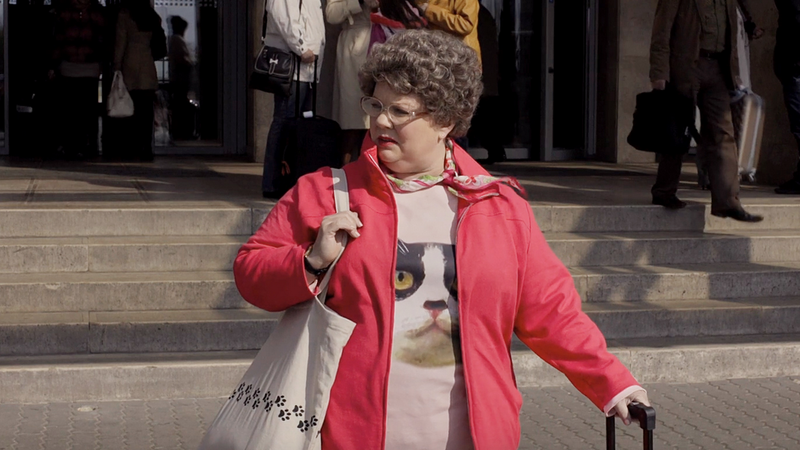 Overall, Spy is an enjoyable two hours of action comedy for anybody who would call themselves a fan of Melissa McCarthy or the overall Paul Feig agenda. Personally, I feel the film does not reach the heights of Bridesmaids or even The Heat, but that is not to say that it is not worth your time. Whilst a film like Kingsman: The Secret Service felt very much like a spy film with comic tendencies, Spy is very much a comedy film with special agent activity sprinkled between the character driven fun. A film that I am sure will be a big hit both in the theatres and upon home release, but just slightly lacking in the amount of hilarious, laugh out loud gut punches that we have been treated to by Feig, McCarthy and co. in the past. I saw this today and I agree with your review. It’s not going to set the world on fire but it’s a lot of silly fun!